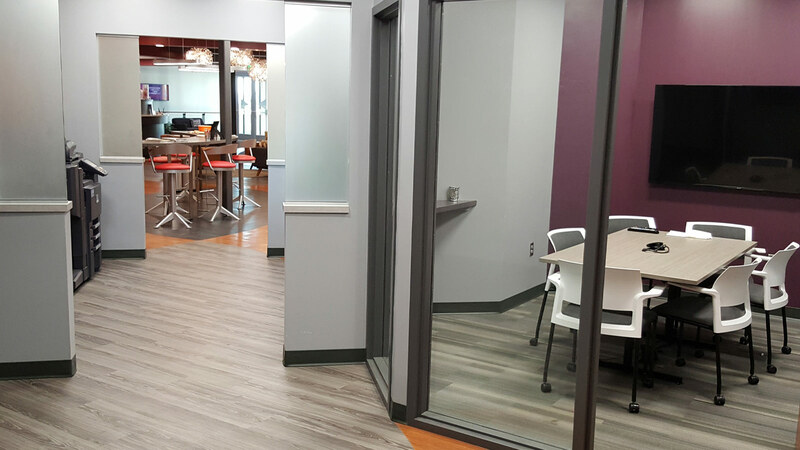 Sioux Falls’ new-business incubator exists to provide resources and guidance for anyone with a great business concept and the work ethic to make it happen. 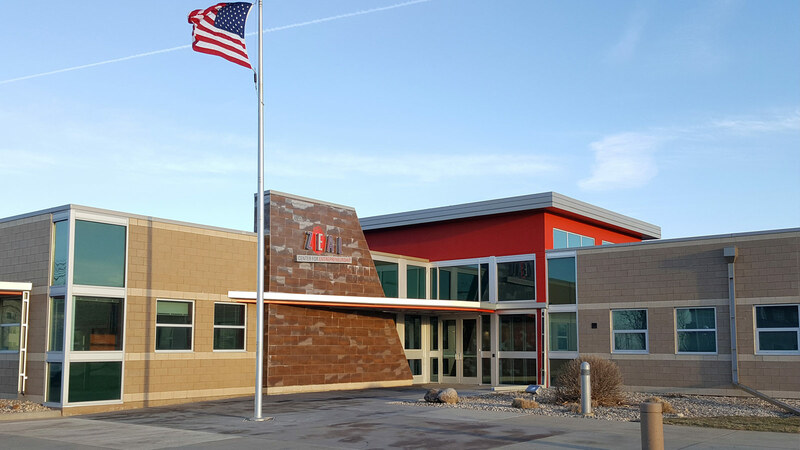 The group launched in 2004 as the South Dakota Technology Business Center. 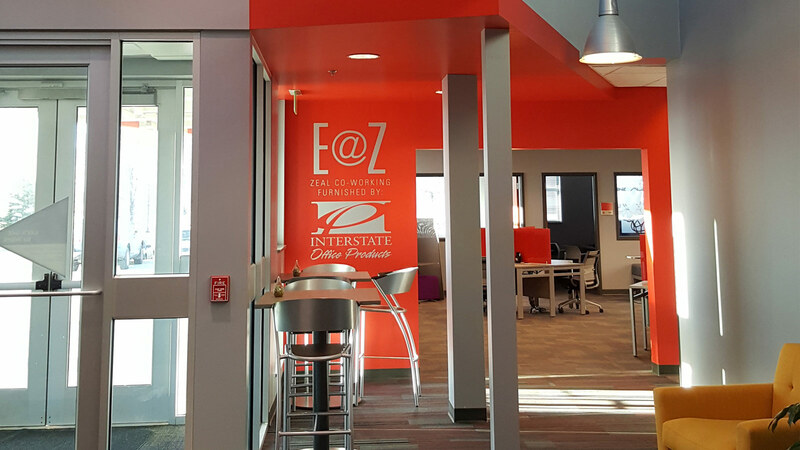 The offshoot of Forward Sioux Falls (a partnership between the local Chamber of Commerce and the Sioux Falls Development Foundation) initially served companies with a tech focus. TSP has been there every step of the way, with architects, engineers, and interior designers whose own creativity supports the center’s growth: the initial 38,000 sf facility, early biotech upgrades, a 2009 addition, and now a remodeling effort to create 2,000 sf of collaboration space on the first floor. Zeal fosters and develops new ideas, but those who keep offices there understandably are protective of their methods. As a result, they tended to keep to their own areas—and the silo effect closed them off from sparks of inspiration that might come from hearing a fresh perspective. 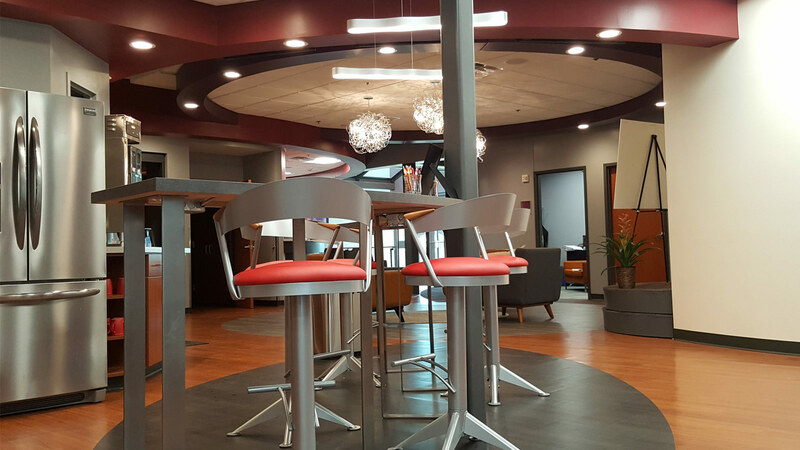 TSP’s interior designers developed color palettes and wayfinding elements that worked with flooring and lighting selections to help define the space program. From the moment visitors and potential clients walk in the door, they feel the energy that drives Zeal. 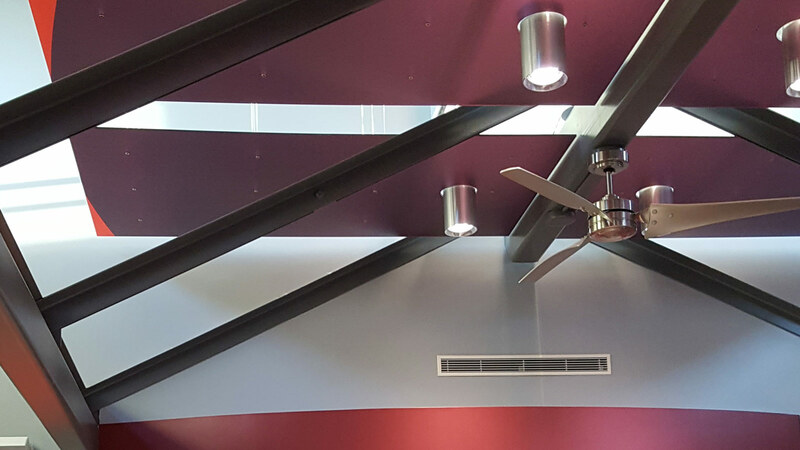 Vibrant colors and open interior sightlines give a glimpse of what Zeal aspires to be, and what it’s like to be a part of what happens there. 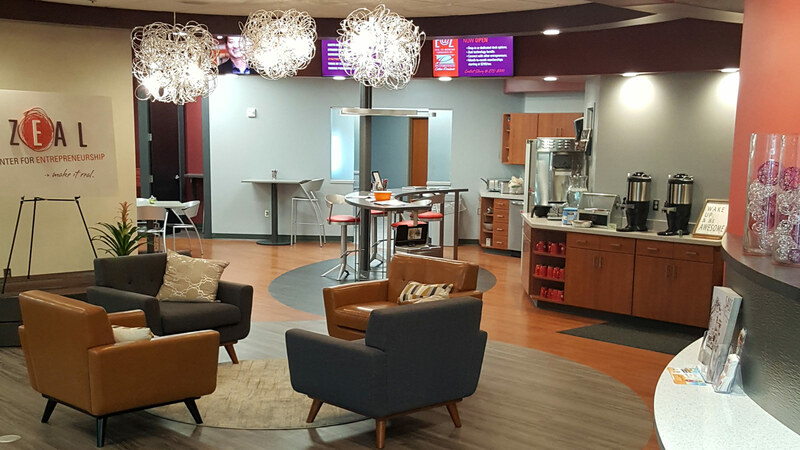 The changes include a re-located reception desk that creates a focal point to welcome visitors. A series of flatscreen TVs display the various start-ups within the building to elevate name recognition and show Zeal’s reach. 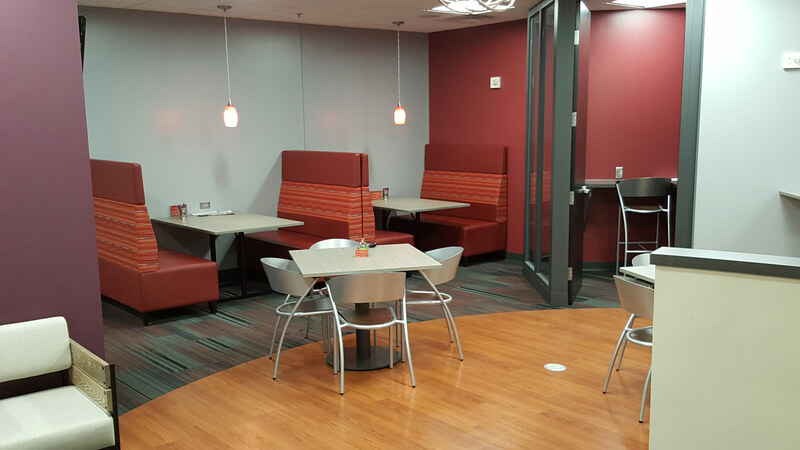 An enlarged and updated break room flows into a lounge with soft seating, counter-height tables, and booths. 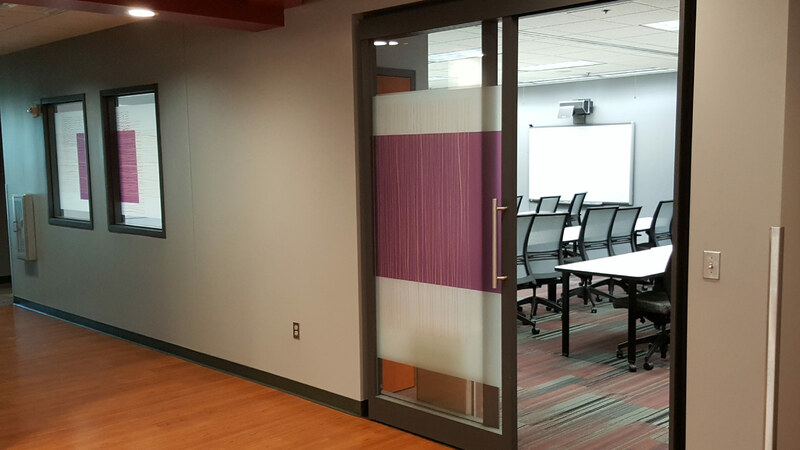 Breakout rooms provide ideal places for a smaller group of great minds to hammer out details—complete with a nearby workroom that has ample cabinet storage for office supplies and equipment. 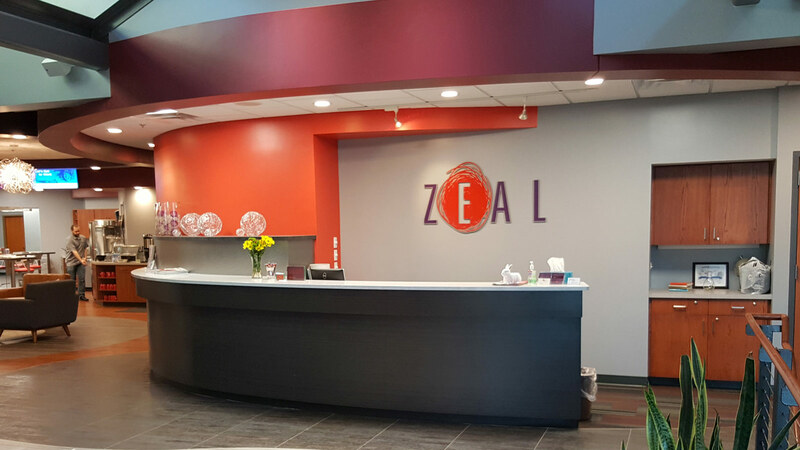 The remodel represents the first phase of Zeal’s planned facelift. The entire 45,000 sf building will be reworked to embody the new look. Certain finishes are being updated sooner than anticipated, after leaders saw huge differences in already-rebranded spaces.